Do you plan to modify it? 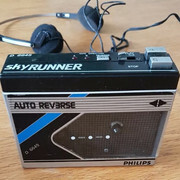 Just managed to get this on EBay - Necros’s Killer Walkman from The Living Daylights! Quite chuffed as TLD is my favourite Bond film! Not planning on modifying it other than having a tape in it with 'Where Has Everybody Gone' on a loop. Nice one. I like to pair my props with a complimentary item, and the soundtrack would be perfect. I think "modifying" means "add a garrote". Either way, the loop idea is great, like the loop on the Blofeld Tape Player from Thunderball. There was no garrotte, Necross used the headphones cable, unsure of what needs to be modified. The mods I'm talking about are the buttons and aerial for the bomb detonator... I guess Saunders' death was forgettable for some! Gosh, folks, I need to watch TLD again! Thanks for the corrections. I think that there are two different types of Walkman used in two different Necros scenes. There’s no red or green markings on the Skyrunner so I guess that one is still out here waiting to be identified. Both are the same model. The Prater walkman is modified with details on the back; the safehouse walkman is unmodified. TBH I hadn't analyzed the safe house walkman til just now, so we both learned something here! It's been pretty quiet here lately. Let's fix that. I was fortunate enough to add a nice range of exciting items to the collection - and quite a few props I had been hunting for years. I must give a HUGE thanks to @JTM for making this possible - it is much appreciated Below are some of the new acquisitions alongside my other stuff. I'm proud to now have one of Ed's breathers in my collection. A very cool and iconic prop there. I was making the other variant when I received this one, so things have worked out perfectly. Also, finally scored the underwater camera - not to mention the dossier, which isn't something I could've made at home because of its size. Some very well-replicated props. I bought one of these cork removers several years ago, but it never arrived I always assumed it didn't get through customs for being a possible concealed weapon, but on reflection, I won it at auction for next to nothing, so perhaps the seller decided to re-list it? Anyway, I was after one complete with box and instructions - the latter here being in near-mint condition. Not sure why I expected the device to be larger, when you can get an idea of its size in Wint's hand. 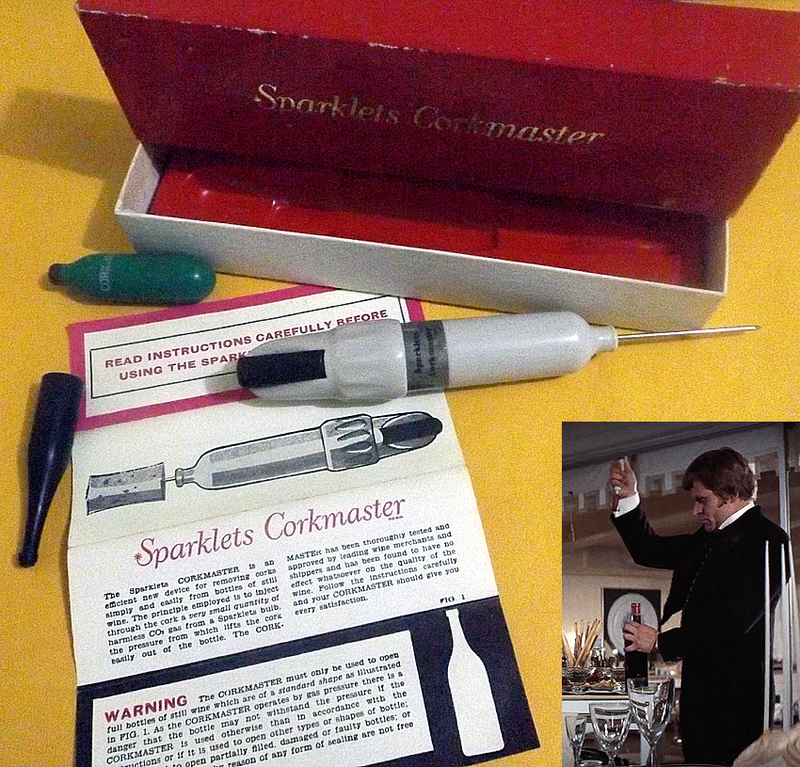 I unscrewed it to discover an unused Corkmaster branded bulb inside - something the seller didn't mention. Gotta love when that happens! Amazing replicas of the gift bag and lapel pin. Tosca may not be for everyone, but Tosca props are certainly for me. 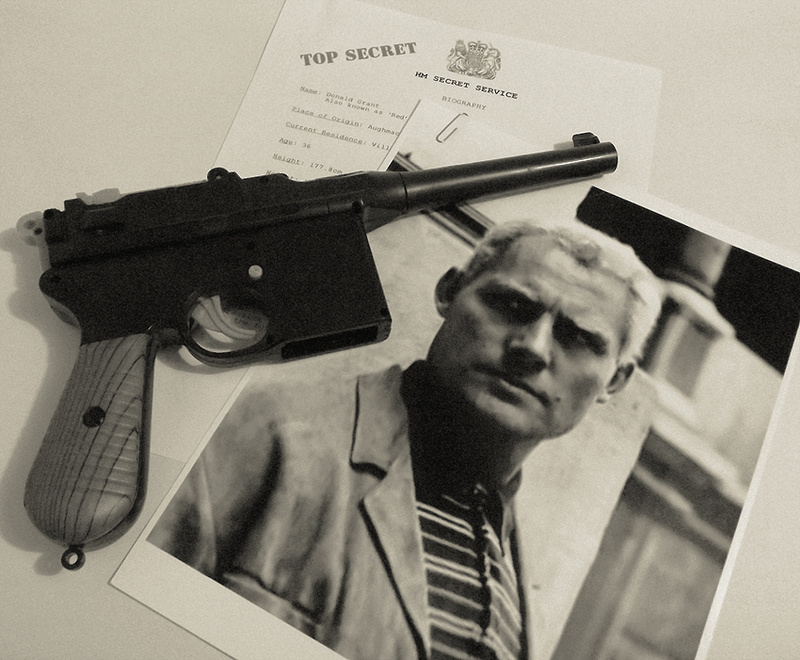 Donald Grant's profile and Mauser he uses at the Gypsy camp. Fantastic replicas of the Aston key fob and combi pens. A couple of connecting themes here - danger and luck: the DBS accessories prove helpful in keeping Bond alive; the two chips Bond throws on the table after he is poisoned; the card with red backing representing danger. Why spades? The ace of spades can represent death, and the absence of the ace here suggests that, although Bond has been poisoned, it won't be his death. 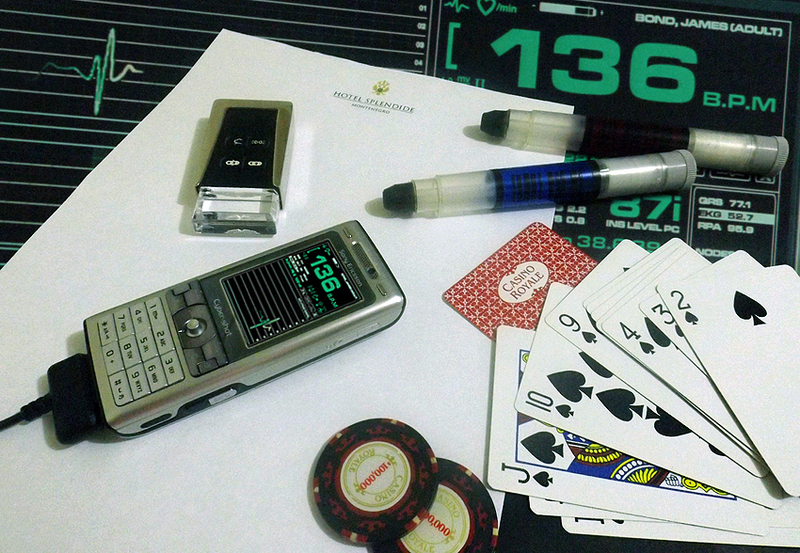 As we know, Bond would go on to win the poker game with a straight flush of spades. 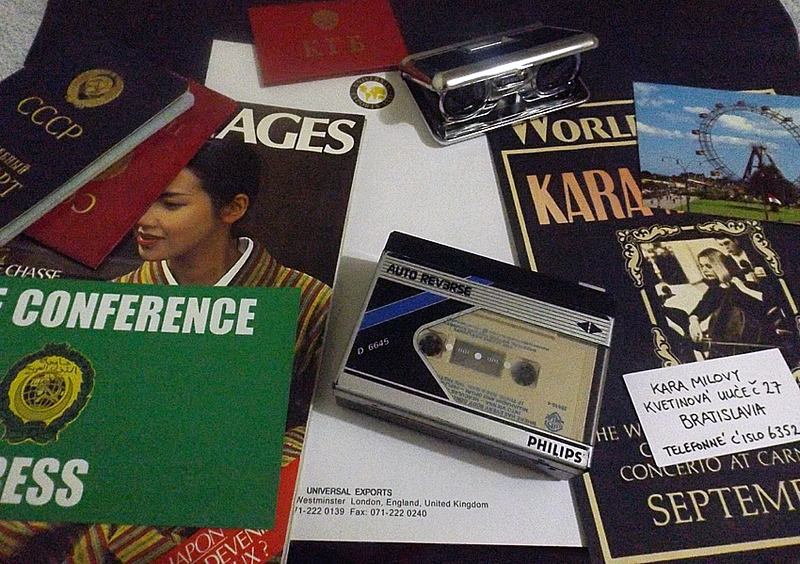 HUGE thanks to @Aston Martin DBS for helping me acquire the TLD walkman - had been searching for years! Inside, is Necros' most excellent choice of 'workout' music. Thanks for the info Ed - but does my $20 foam dart shooter not look accurate enough? Great photos and great collection! Apologies for the graininess of the pics - hopefully the creative touches make up for it a bit. Cheers, François - I can't take credit for the FRWL documents, I didn't make them - but if you need TLD paper let us know. Very nice props Andrew ! 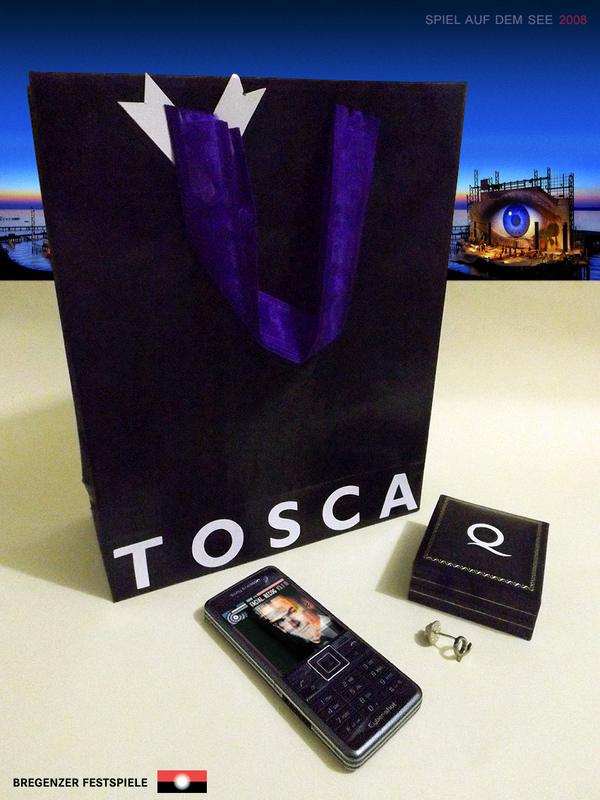 Love it, specially the TOSCA gift bag, and how do you put pictures on the screens of your phones? I put paper inserts inside real phones and stickers on top of dummy phones, but for the pictures you see here, I have simply photoshopped on custom, one-time screens that relate to the theme of the photo. 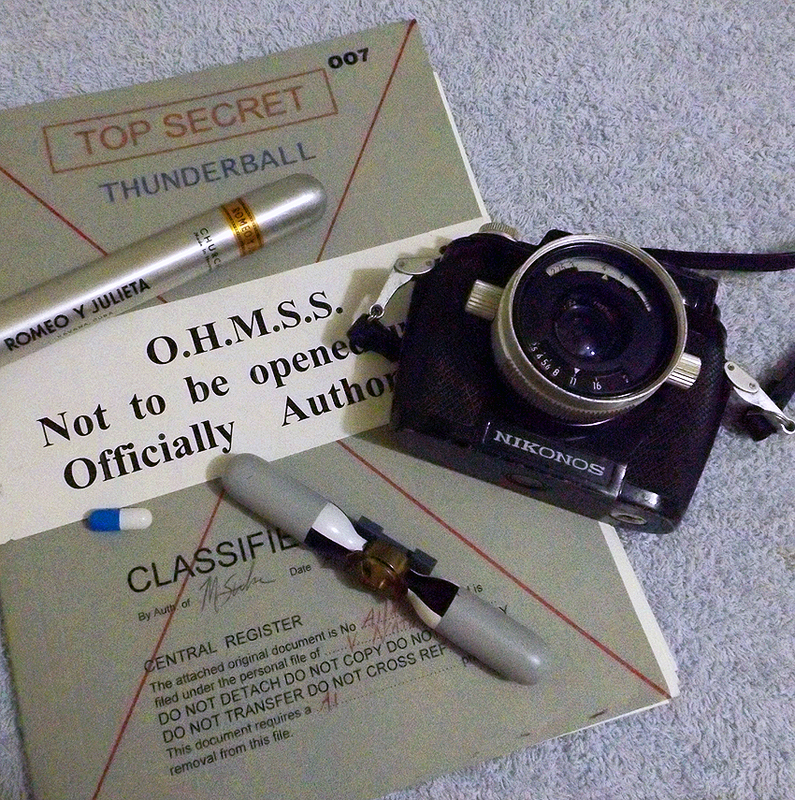 Here is some photo of the last props that I made, and that will enrich my collection.